We're so appreciative to have had the wonderful youth volunteers from Park Crest Baptist Church from Springfield, MO come to Hope House and help out in cleaning our facilities. Among the many things they helped us with, also they read to our pre-kindergarteners and toddlers in the Child Development Center and washed our vans. They also gifted the children in the Child Development Center with candies and stuffed animals! God bless you all for your good deeds! May 29, 2012, 7:00 p.m. The Ecumenical Leadership Council hosted "A Very Special Evening of Recognition" that benefited St. Louis Transitional Hope House, Inc. at the Ritz Carlton Hotel on May 29, 2012. Those who received recognition were Robert J. Carlson, the Archbishop of St. Louis; Dr. William Chartock, President of MERS Goodwill; Dr. Donald Suggs, Publisher of the St. Louis American Newspaper; and Terry Nelson, Executive Secretary-Treasurer for the Carpenters' District Council of St. Louis and Vicinity. Continuing their Thanksgiving tradition, the kind members of First Baptist Church of Chesterfield made sure that our Hope House families will have a bountiful Thanksgiving this year! 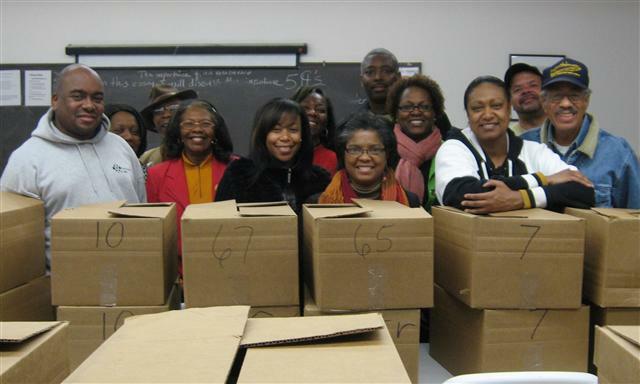 The Church gave 20 huge two-boxed sets of Thanksgiving foods to Hope House's most neediest families. 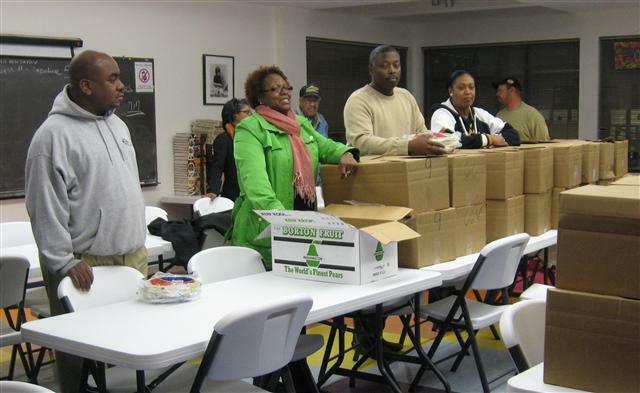 Thanksgiving food boxes to our residents. Some of the members of First Baptist Church of Chesterfield and Hope House staff. The ladies of C.H.U.M.S. returned to Hope House to donate lovely Mother's Day Gift Baskets to our residents. Single fathers received gift bags (on the right), too! the Child Development Center. Wow! 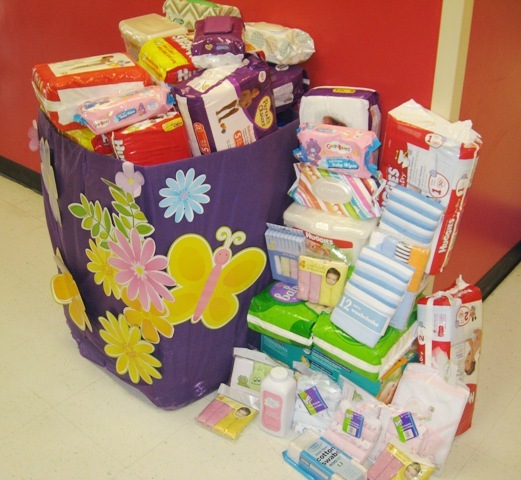 Diapers that were donated by Friendly Temple's Women's Ministry. 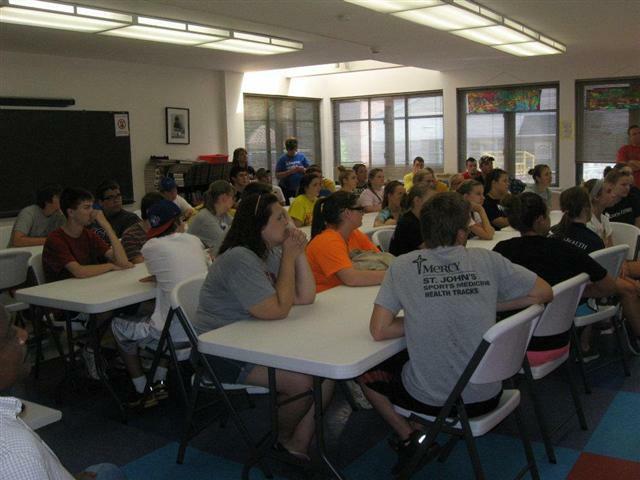 200 St. Louis University students of the John Cook School of Business gave Hope House a much needed makeover! 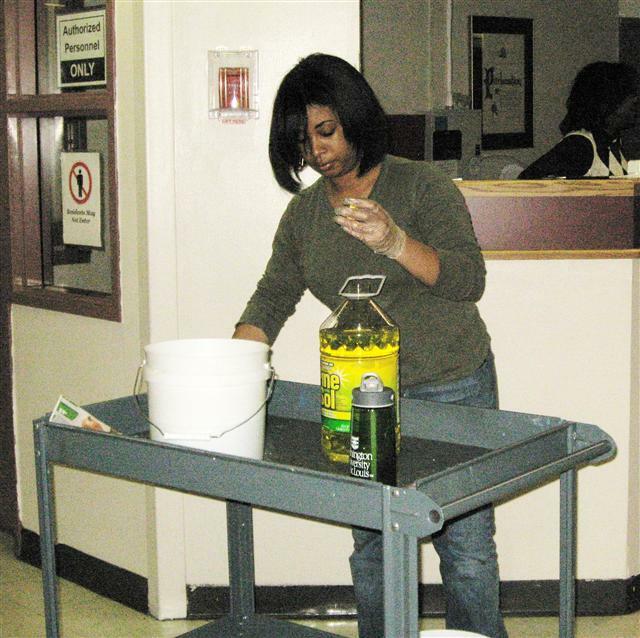 They painted our visitor lounges, laundry rooms and our Social Services office. They also gave our walls a thorough cleaning. The students also painted two wonderful murals in the hallway for the children in the Child Development Center. They also surprised the staff and residents by donating five computers! at on stations WXOS 101 ESPN and WARH 106.5 The Arch. 15 Washington University Students volunteered their time and efforts in scrubbing the House House walls and windows.